Geneva – Between January and October 2017, a total of 714,278 internally displaced Syrians returned to their places of origin within Syria. 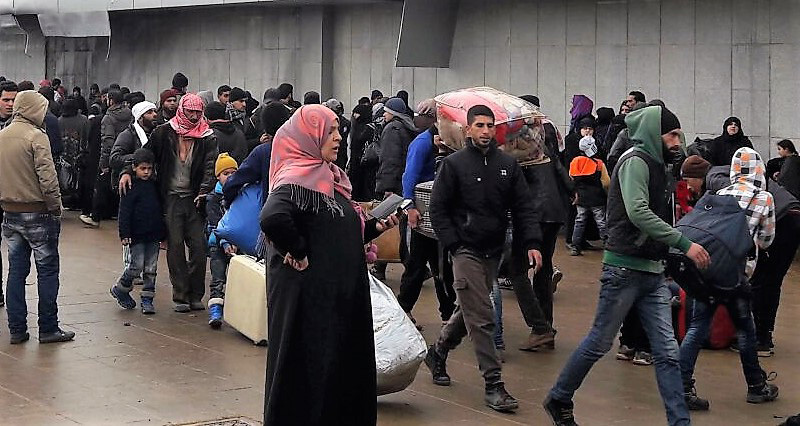 The majority of those returning had been displaced within Syria with 58 per cent having returned from Aleppo Governorate, many of whom were returning to another area within Aleppo, and 12 per cent from Ar-Raqqa Governorate. In addition, the top three sub-districts where people returned to were located in Aleppo Governorate (Jebel Saman, Al Bab and Al-Khafsa). Out of the total number of people who returned home, 37,635 were displaced again, after their return. Again, March experienced the most displacement of those, who had returned. Some 96.3 per cent returned to their own house, many of which are damaged and in need of extensive repair. The rest settled with hosts from their places of origin (2.4 per cent), in abandoned houses (1.0 per cent), rented accommodation (0.16 per cent) and informal settlements (0.01per cent). The amount of people returning was generally higher in the first half of the year, which was around the time that the Government of Syria retook Aleppo city, and that other sub-districts in Aleppo Governorate were liberated from ISIL control. March was the month with the highest number of returns so far in 2017 with over 113,000 movements. Approximately, 25 per cent of returnees stated the need to protect assets and properties as their reason for return. Other reasons noted include improvement of security situation (20 per cent), social and cultural issues hindering integration or safety in area of displacement (17 per cent), improvement of economic situation in area of return (18 per cent) and worsening of economic situation in area of displacement (15 per cent). Returnees are settling in areas devastated by seven years of conflict, not equipped to host them. Around 47 per cent of returnees have reported lack of access to household items, 51 per cent have reported challenges in accessing clean water, 54 per cent have reported challenges in accessing food and 67 per cent reported facing challenges in accessing healthcare. People returning to Aleppo and Ar-Raqqa Governorates face the worst access issues with the most reported challenges being the "high cost of the services" and that "services are not enough". These returns have been mainly spontaneous but not necessarily voluntary, safe or sustainable. As such, they cannot, at present, be considered within the context of a durable solutions framework. Find out more about this at: https://www.iom.int/progressive-resolution-displacement-situations. While people are returning to their areas of origin, during the same period, a total of 1,452,636 individuals were newly displaced inside Syria, most of them are from Ar-Raqqa and Deir-ez-Zor Governorates. This bring the total number of IDPs inside Syria to 6.1 million since 2011.